All ImagineNations are handmade to order on vintage globes, therefore no 2 will be exactly the same. PLEASE NOTE: THIS IS NOT THE ACTUAL GLOBE YOU'LL RECEIVE. Artwork will be sized and colorized to match each unique globe. 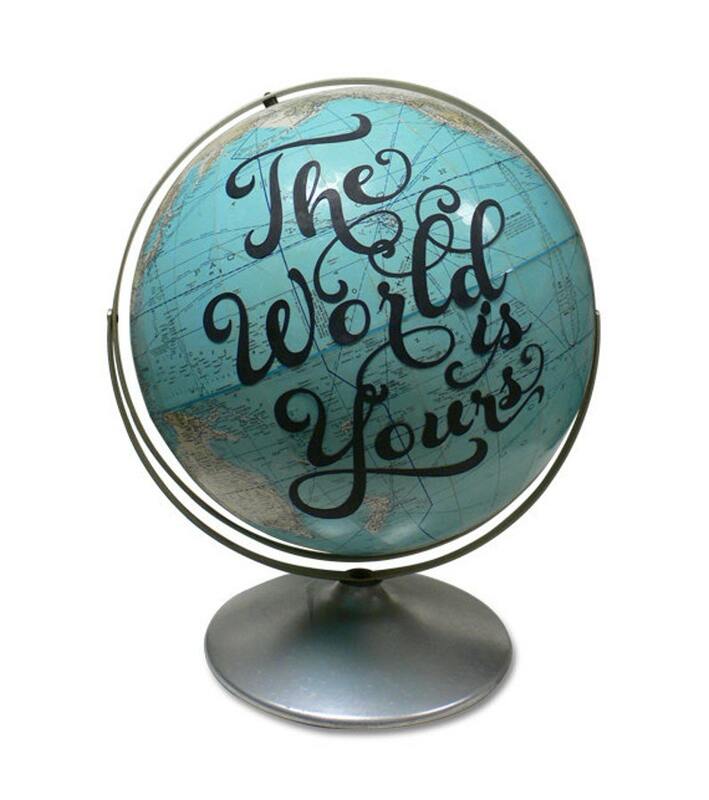 Please specify if you’d like to match a certain color palette and if you'd like your creation on a 8 or 12 inch globe. 16 and 30 inch globes as well as floor globes are available for an additional price. Remember, the globes have all had prior lives, so expect to see some “character." Also, because of their age, many of the globes are no longer geographically accurate. All artwork is hand-cut, decoupaged on, and then finished. Due to high demand and the handmade nature of the product, please expect 6-8 week lead time (from the time your order is placed). You will received a tracking number once the globe has been shipped. Free Shipping to continental US. Portion of proceeds go to local charities. I purchased this for a family Christmas gift. We love it! Colors are beautiful. Shipping was fast, packing was clean, and well wrapped. Thank You!